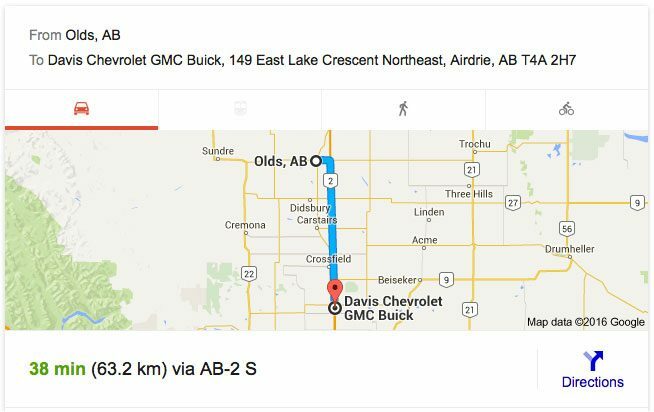 Davis Chevrolet GMC Buick, Airdrie, located just off the No. 2 Highway at 149 East Lake Crescent N.E, Airdrie, is waiting to give our Olds, AB car shoppers an awesome car buying and service experience. 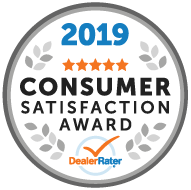 Our GM Dealership serving Olds is your best choice for everything Chevrolet GMC Buick, including new Chevrolet GMC Buick cars and all-make GM Certified Pre-Owned vehicles, GM Certified Service and repair, GM Parts, GM Accessories and more! We have one of the largest new and pre-owned car selections in central Alberta.